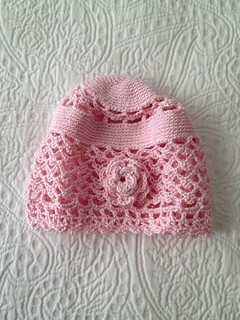 Lately I have been making baby shower gifts, and I have a few more to make! Is there a baby boom going on?! I have been pulling books, yarn and needles out for each of the projects, and my craft room is currently a mess! 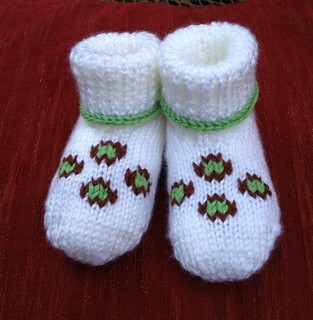 So, there were four baby gifts to make, and I have two down and two more to go. 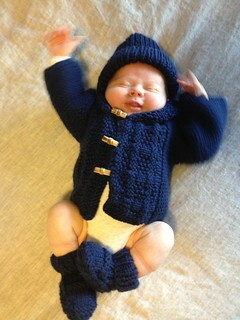 But first off, let me share a photo of the cute baby wearing the knitted set I made. He looks adorable in it. The next gifts were for a “New Grandmothers” baby shower hosted by a co-worker. It was a very cute idea and I was told that one of the nursery color scheme was green and brown. 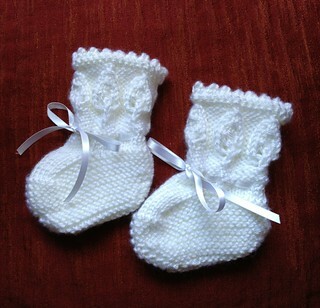 I have two more baby gifts to make, so stay tuned! 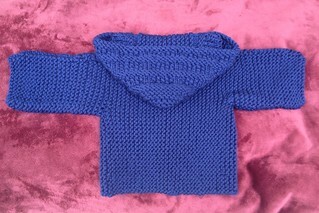 I just finished this cute sweater and bootie set for a co-worker who is expecting a littly boy in 2 weeks. This is the first time I’ve ever used this yarn, and it is so soft and chunky! I love the way this sweater feels. 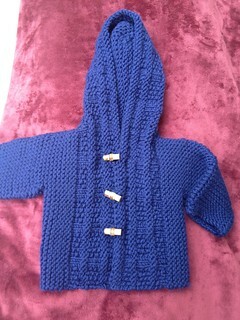 I made the 6 month size and changed the pattern stitching along the two fronts that extend into the hood. 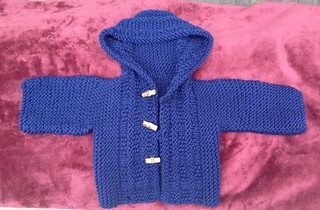 The pattern stitch is #209 from “Vogue Knitting’s Stitchionary 1” book. I gave her the set today at work and she loved it! Well, another crocheted top is completed! This one was intended for someone else, but she never sent me her dimensions, so……I made it to fit me! I love it! 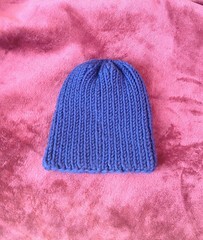 I used Aunt Lydia’s crochet thread size 10 and doubled the yarn to get the gauge. 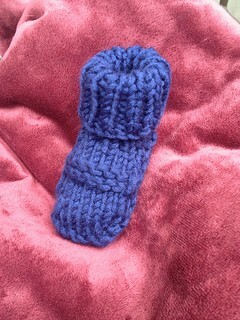 I still had to modify the pattern some, but it wasn’t difficult, just time consuming. I have so many projects to complete in the next few months, wish me luck! Trying it on for size…..looking good, with a few modifications! I made two rows of the pineapple pattern instead of one row, in order to extend the bodice section…and after that, I modified the double crochet cluster pattern for a more tailored fit for the ‘body’ section.